Keep these 10 simple tips in mind and your readers will stay with you, absorb what you say and engage with you. Fill out the form and get our FREE 10-tips to Great Writing Guide now. 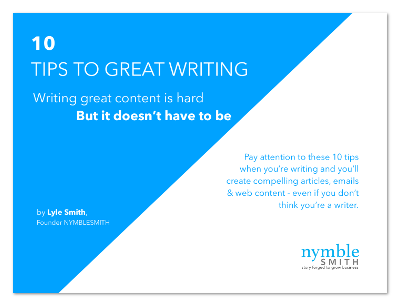 Click send to get a link to your 10-tips to Better Writing Guide now.